HomeCuteRelationshipsMarried for 70 years! Do you want to know their secret? A couple celebrating their 70th wedding anniversary have revealed the secret to their long marriage – holding HANDS every day. Iris and Ernest Balliger were pictured holding hands on their wedding day in 1945, and have made time to do so every day since. Iris, 95, met her future husband Ernest, now 93, on the day of his 21st birthday, when they were both working on repairing a radar installation at RAF Barkway in Hertfordshire in 1943. 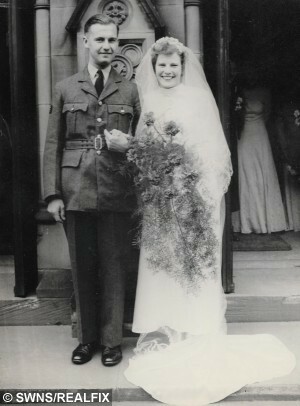 The couple fell in love and got married on May 26, 1945, and posed for the lovely picture outside the church in Nottingham, holding hands. Iris, 95, said: “When we met there were four of us girls and we were told that four boys were coming in. So they came and enjoyed some buns and cake. 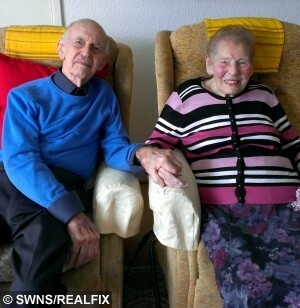 Sadly, true love had to wait after RAF engineer Ernest was posted away for a couple of months. Iris said: “We used to come up to London to go and see a show and one time there were eight of us. “They went off and there were just two – Ernest and me. He said I’d better go home with him. After the war, the couple moved to London, where Ernest worked for London City Council, and the pair raised two children – Nick and Verena. Nick, 62, said: “They have definitely held hands every day of their marriage – excepting maybe when one or the other was in hospital. “They’re as much in love now as they were when they first met. It’s lovely really, every evening they sit and hold hands. The loving couple, who now live in a care home in Horsham, West Sussex, marked their platinum anniversary with a party for their friends and family, including two children and three grandchildren. 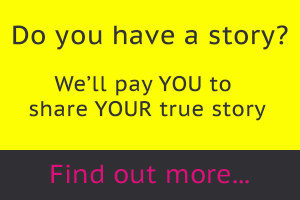 Carer Isobel Grindley said: “They are such lovely people. Iris added: “Everything we have had to go through we have managed to go through with ease.